Dishwashing in third-world countries like the Philippines mainly consists of a sponge and a dishwashing detergent, even if the things that need cleaning are huge pots and pans. Yes, it is a bit of hard work if it’s done for long-term, but trustworthy brands like Joy (a creation by Procter & Gamble) make the task at least a greater experience. 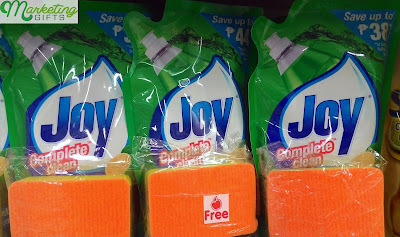 More so now than before, because of the free sponge that goes with every purchase of the brand’s liquid detergent. Below are some ideas to clarify how such gift with purchase can give better profits for the brand. It is pro-consumer. Discounts, rewards and gift with purchase items are all “pro-consumer”, which means to say that the brand prioritizes the needs and possible wants of the people who support them. 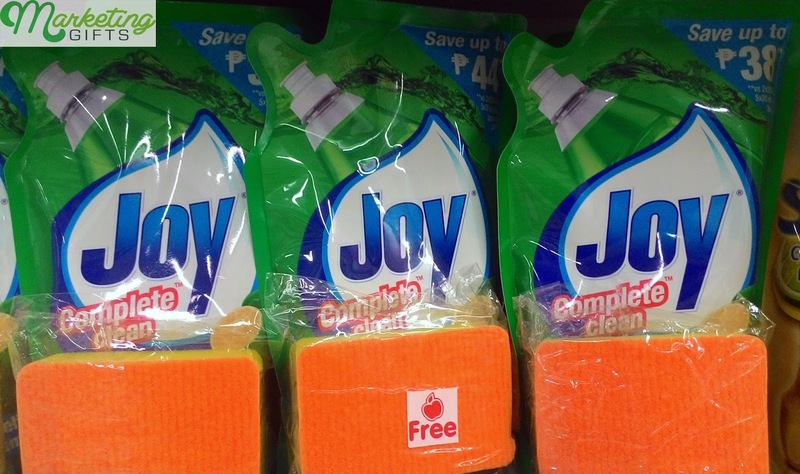 This particular freebie is great, because then the consumers will no longer have to look for a durable sponge, because it is already given by Joy for free. It is high-quality. The free sponge is high-grade because the soft part does not tear off even after several use, while oil and other food particles do not cling so much on the scrub part of it. It makes the brand more recognized. How, you ask? When consumers sample the gift with purchase at home, at first they will be observing the difference of using it from using the other sponges. And once they have seen that it is indeed better than the others, the Joy brand will receive more recognition, leading to more earnings. Learn how to promote a brand in a profitable way. Visit our Marketing Gifts blog for more marketing ideas.